The shift “will alter the global distribution of power, relations between states, the risk of conflict, and the social, economic and environmental drivers of geopolitical instability,” said a the commission set up by the International Renewable Energy Agency (IRENA). 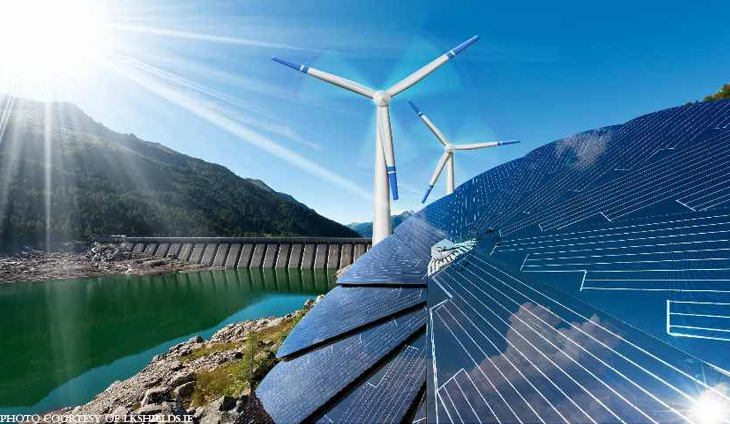 The report, entitled “A New World”, was launched at IRENA’s ninth general assembly in Abu Dhabi. The cost of electricity from solar sources has dropped by 75 per cent since 2009 while the price of wind turbines halved over the same period, it said. IRENA secretary general Adnan Amin said the body’s analysis shows that “by 2020, all commercially available renewable technologies will be on par with, or cheaper than, fossil fuels competitors”. He said that in 2017, a record 168 gigawatts of electricity were generated from renewable sources—double the previous year. The IRENA commission also warned that countries are heavily dependent on fossil fuel exports would need to adapt to avoid “serious economic consequences”.